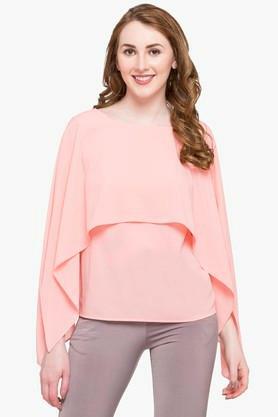 Stand out from the rest by wearing this trendy top from the house of Femina Flaunt. It has been tailored with a superior quality fabric that will keep you comfy throughout the day. 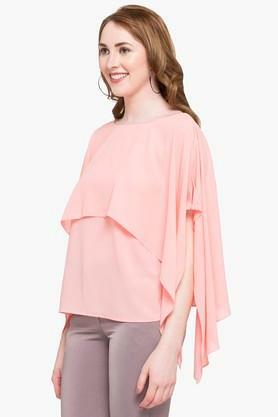 In addition, it features cape sleeves, which along with the round neck accentuate the design. 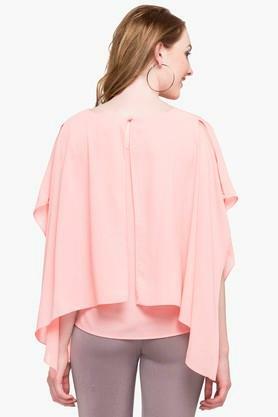 Create a lasting impression on everyone around by wearing this cape top, which features a solid pattern. Team it with a pair of jeans and block heels to complete your casual look.